A hot new trend is gripping the millennial generation – Workations. As its name suggests, a workation implies doing work while on a vacation. Despite some negative views on the concept of workations, we believe that amazing outcomes can result from workations when structured in the right manner. In the traditional sense, a workation is a vacation that combines business and leisure. 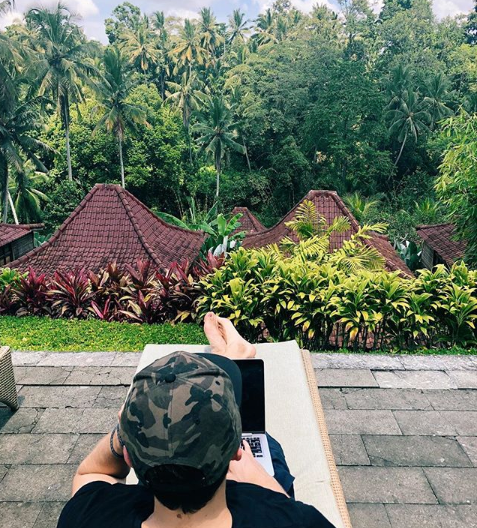 Unlike being a digital nomad, workations demand a certain level of luxury expected from a vacation. It is equally important to accomplish something professional as it is to relax and fully immerse yourself in your new surroundings. Apart from ‘getting work done’, we also use the term workations for any opportunity to work on yourself and improve your skillsets while enjoying the thrill of exploring a new country. This could include anything from taking a course while on vacation, to working on a new business idea. Why do people go for workations? 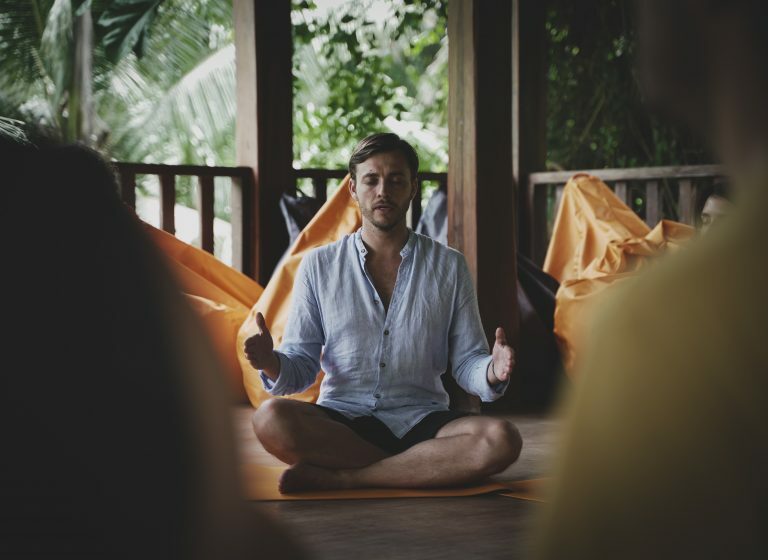 Many startup founders or busy working people opt for workations when they need to recharge and relax, but can’t quite the time-off to embark on a device-free holiday. Workations are also great for people who want to go on extended travels. It’s difficult to take a complete break from work and just travel for a year. However by balancing the pros of a workation where you continue making income or continuing staying productive, the year off travelling suddenly becomes so much more worth your time. Choose a destination. Pack your laptop. Off you go. With a clear plan on what you hope to accomplish, and the discipline to stick to a schedule to complete the work you set for yourself, workations can be an incredibly productive use of time while also allowing you sufficient time to explore a brand new destination. Immersing yourself in a new environment inspires you in so many new ways compared to settling into a prosaic routine of the same old circumstances. You may find that you produce even better quality work while on a workation than when in your regular 9-5. Where is the best place to go for a workation? Is there good wifi/internet connection? Good internet is paramount to a successful workation. In this digital age, you have access to an avalanche of information – whether you intend to complete paid work remotely, or intend to improve your personal skills by taking an online course. All you need is good internet. Other things to consider are the safety of your destination, and whether it’s inspiring. It’s tough to concentrate on delivering your best work when a part of your mind is keeping a lookout on whether a hurricane is going hit shores in the next minute. 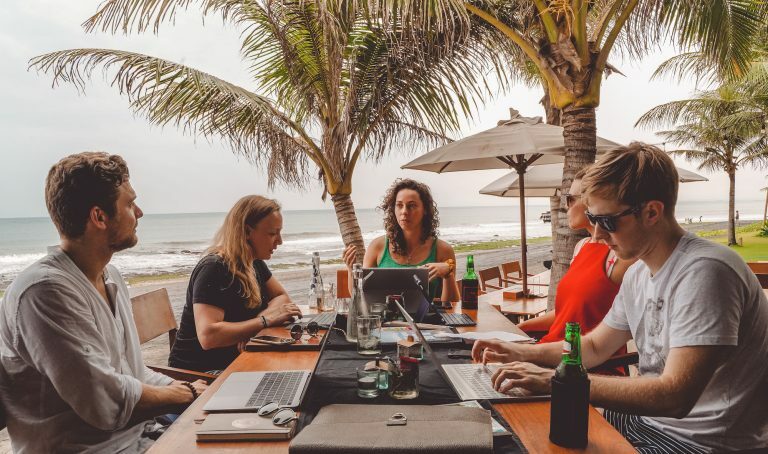 As one big benefit of going on a workation is how you invigorate your mind to accomplish even greater things, its important to choose a location that provides a inspiring environment. Imagine being able to stare out into clear blue oceans with the breeze in your hair while you clear your mind to focus on a complex project. A stimulating environment gives you the headspace to achieve so much more. 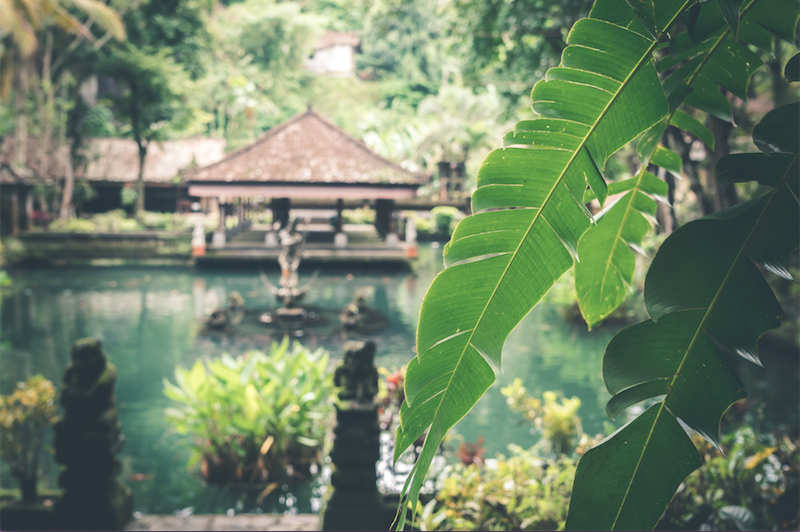 With these points in mind, we highly recommend Bali as one of the best workation destinations. In Bali, you are able to access strong internet in most parts of the island. Bali also boasts amazing sceneries – from majestic volcanoes, to magnificent rice terraces and relaxing beaches. There’s a wide variety of terrains available for whatever invigorates you. Bali is also known for their spiritual culture and friendly locals. And best of all, it’s incredibly affordable, so you can live very comfortably during your workation without breaking the bank! What workation opportunities are there out there? While it’s completely possible to plan a workation for yourself, it’s even more effective to join an organized workation with a structured schedule. CoFounders Retreat is one such workation opportunity. We select only the top 25 most driven individuals that apply, put them together in a stimulating environment, and provide them the skills and resources needed to start a business. Individuals who are looking to start businesses, learn entrepreneurial skills, or who seek personal growth are the best candidates to apply. What makes a workation more powerful is having a strong, supportive community behind you, pushing you to achieve your goals. 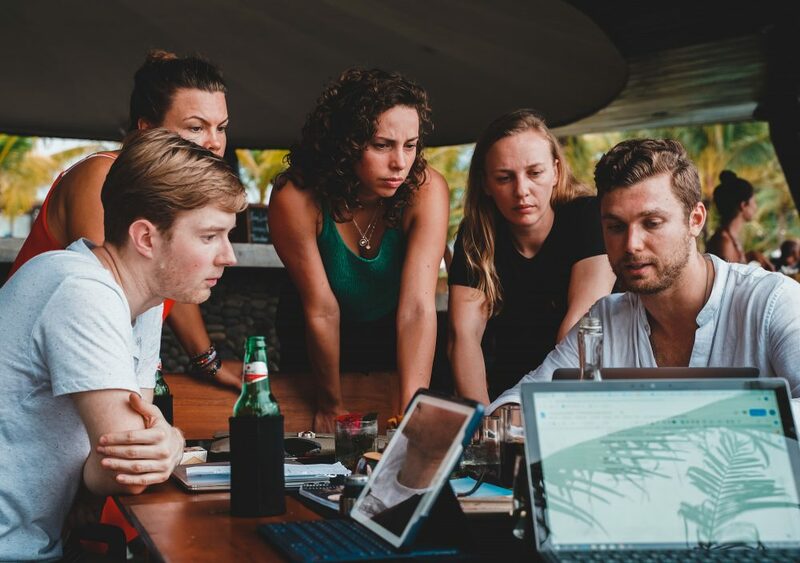 Learn how you can become a part of the next CoFounders Retreat, to embark on a life-changing journey balancing work and play.